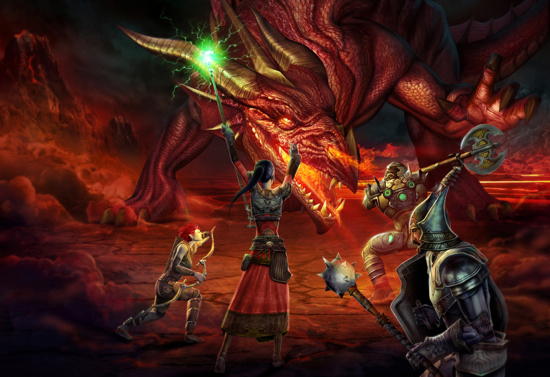 You may know Dungeons & Dragons, the venerable role playing game, turned 40 recently. Our own Chris Ullrich even did a post about it over at his personal site. Turns out, D&D is still pretty much as popular as it ever was and people from all walks of life enjoy it. But that wasn’t always the case. Back in the day it wasn’t as well regarded and the depiction of it on popular media, like TV, was often inaccurate, to say the least. Moving forward on that topic, the folks over at Geed Dad have put together some of their favorite clips showcasing D&D’s appearance on TV. From Freaks & Geeks to 60 Minutes to Community, D&D has been pervasive in popular culture for a long time and shows no signs of slowing down. Check out most of the clips after the break. Like movies, TV shows and most every other form of entertainment these days, games also have trailers. But not just video games, although they do all the time, tabletop games like Dungeons & Dragons do as well. • The newest season of D&D Encounters, Legacy of the Crystal Shard, starts today! These in-store events take place every Wednesday at local hobby shops and allow both inexperienced and seasoned players to join forces for the ultimate adventure. • The recent launch of D&D’s FIRST-EVER free-to-play mobile app, Arena of War, produced by DeNA just launched. Arena of War, which is available on iOS and Android. It’s a thrilling, turn-based, 3D, battle-RPG mobile game that sends players on perilous quests through the Forgotten Realms. • The third book in The Sundering series, The Adversary by Erin M. Evans, is being released early December. This page-turner delves into a maelstrom of devilish politics and magical intrigue. 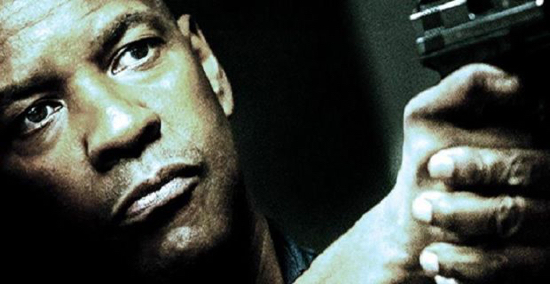 For more, check out the trailer after the break. Want to play The Sunderling? Check it out over at the official website. This is probably one of the geekiest posts we’ve ever put up here, but that’s okay as we often love some hot tabletop gaming action. To make said hot tabletop action even hotter, you really need some cool terrain pieces to visually enhance your adventures. 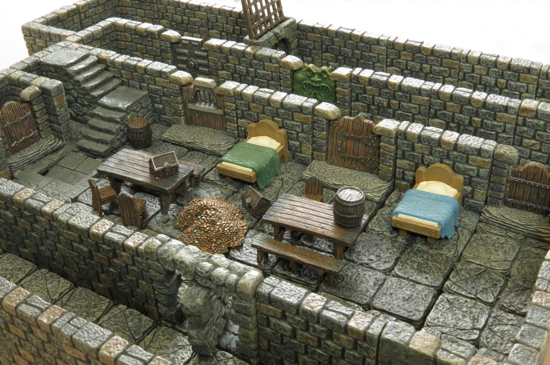 Fortunately, the gang at Dwarven Forge has got you covered. If you haven’t checked out their Kickstarter campaign yet, you should. These things look great, are durable, modular and will lend that extra flair to all your tabletop gaming sessions. And really, who doesn’t want extra flair? I know we do. This is what Kickstarter was made for. Take that money you were going to give to Zac Braff and instead, give it to something really cool with perks that will last a lifetime. Plus, because their Kickstarter is sure to be funded, your donation could get you a veritable treasure trove of awesome gaming pieces. Something every geek needs in his or her bag of tricks. So, what are you waiting for? You get to support an awesome Kickstarter campaign and get some amazing stuff for yourself. What could be better than that? Has the Earliest Version of Dungeons & Dragons Been Discovered? 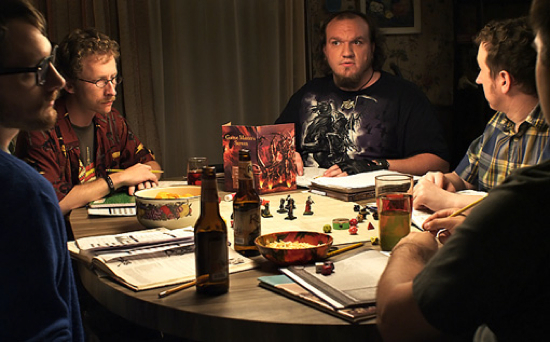 If you’re a geek or gamer (or both), chances are you’ve played Dungeons & Dragons, or know someone who has. First introduced in 1974, D&D went on to become an international phenomenon selling over $1 Billion worth of books, 20-sided dice and related materials in over 30 countries. To this day, many leaders in entertainment, and other industries, hail D&D as a major inspirations for their creativity and imagination. In short, it was quite a game. And to many, it still is. But where did it come from? 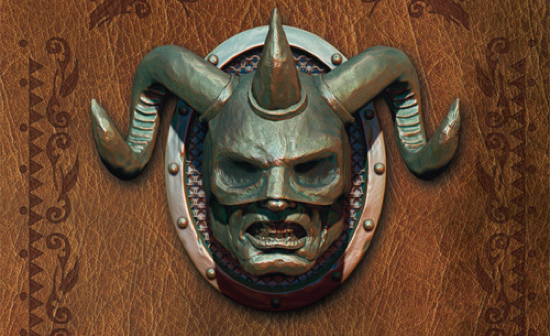 The common wisdom is D&D was invented by Gary Gygax and Dave Arneson, two friends who’s love of gaming led them to create the first rule books, and more, for what would become modern D&D and later, Advanced D&D. But is that the whole story? Over at Geek Dad they’ve wondered the same thing and a statement about the discovery of a rare manuscript may just hold the key to unlocking the mystery of who really created the game. 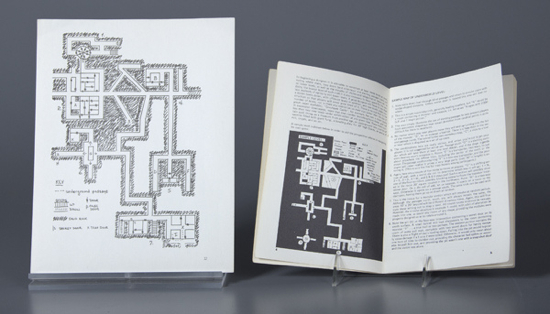 According to the statement by the Strong National Museum of Play, “A rare manuscript believed by some experts to be the earliest existing version of Dungeons & Dragons” is now on display at their Rochester, NY, museum. Tabletop gaming has recently become one of my favorite hobbies, but work and other life commitments sometimes make it hard to make time to sit down and play them. That’s where Playdek comes in. They port games from their physical, tabletop form into full-fledged iOS games. The really great thing is that these games are playable online, so even if you can’t sit down with your friends for your favorite board game, you can play at your leisure on your iPhone, iPad, or iPod Touch, or play and pass on long car rides or in long lines. Another great thing about what Playdek does is that the digital version of these tabletop games clearly defines the rules and explains them, which helps take some of the intimidation factor for those of us who are new to tabletop. And if you love the iOS version of these games, you can buy the physical game fully understanding the rules and ready to play! Tim Schafer’s Doublefine Adventure Kickstarter fund seemed to revolutionize videogame development forever- but with the success of Miskatonic School for Girls, it seems that tabletop gaming had already figured out how great Kickstarter can be. The project, which raised $52,000 dollars more than the creators asked for it, was available for purchase in the tabletop area of PAX East last weekend, and I sat down with some friends to check it out. The Miskatonic School for Girls is a very unique institution of higher learning for women, set in the universe of H.P. Lovecraft and Cthulu. Players take on the role of the students at the school, as they attempt to defeat their teachers and survive the day without losing all their sanity. What makes Miskatonic School for Girls unique in the scheme of deckbuilding games is rather than just using friendship points to assemble new classmate cards to make your own deck powerful, you can use your nightmare points to buy faculty cards that are forced into your opponent’s decks and pin them against difficult foes. But, concentrate too much on messing with other people’s decks without arming your own with friendly cards, and you may go crazy before you manage to defeat your fellow players.